TMS supply you with our web based portal CLIck which gives you access to your customer database, from here you can add new customers and maintain your existing base. 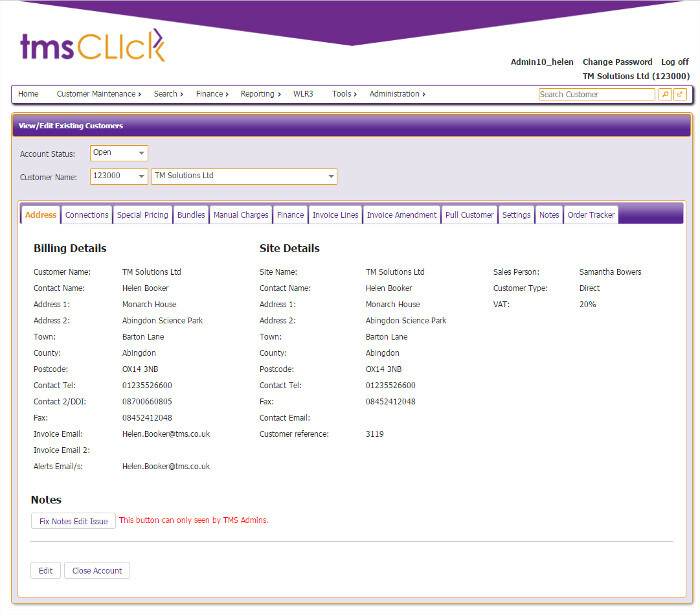 You are able to add or amend details on customer's accounts including creating instant invoices and adding recurring monthly charges. You can also change tariffs, address and Direct Debit details. Remove or move numbers and change a customer’s account settings. Every user is given a user name and password, from this we can set the security access and the view this user sees and what they can add or amend. The Administrator has access to add or amend usernames and security access levels via their login. TMS can offer CPS over all of the major carriers, we offer competitive rates and have an auto provisioning engine which means you only have to add your CLI into one portal- CLIck- and it is added to the billing platform and sent to the carrier for CPS on your behalf. 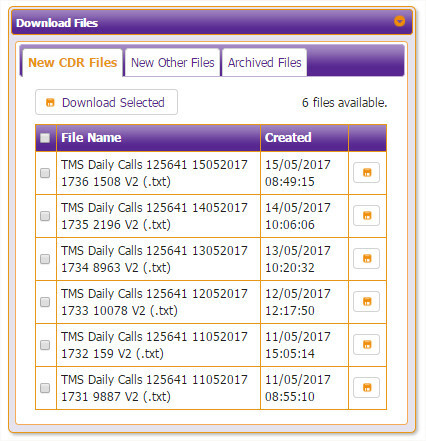 We supply daily CDR’s for you to download, they are priced and loaded onto your CLIck login everyday by 3PM. 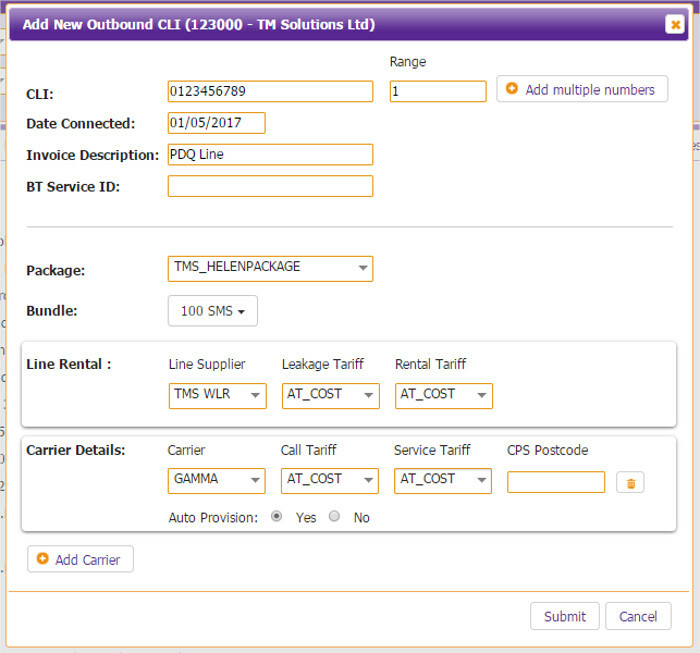 This enables you to monitor your traffic and recognise any BT leakage or unusual call volumes. 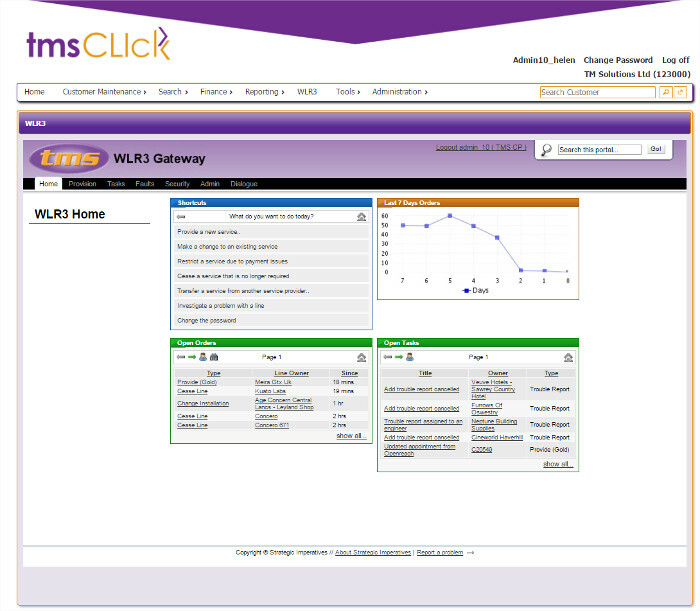 TMS were the first non BT reseller to go live with WLR3 PSTN on the 10th December 2007 ahead of all our competitors. Our resellers were the first in the country to experience advantages such as access to engineering notes, additional information on line details and real time engineer appointing. Our WLR3 interface is accessible via your TMS CLIck login and we have all products available on WLR3. Our customer care team are experienced and confident with this product enabling them to offer excellent support with all order types whilst using our well established systems.